The Fitness Studio is designed to have a personal trainer to fit your needs. The trainers are certified professionals who are friendly, realistic, and approachable. They specialize in a variety of training styles and methods to meet your needs, that can be tailored to fit your needs. Whether it’s from general muscle development, sports specific training, or weight management the trainers here at the Fitness Studio are trained to assist you in any way possible. I’ve been professionally training since 1997 helping people get into the best shape of their lives and couldn’t ever think of anything I’d rather do for a living. The relationships I’ve made and the results I’ve seen have been far more outstanding than anything I could imagine. Educated at Temple University and certified by ACE. Specializing in many areas including functional lifestyle training, weight management, lean muscle development, sport specific training (adult and teenage athletes), and greatly improving overall fitness levels ranging from teens to senior citizens. I feel so rewarded by helping my clients experience positive changes in their lives through hard work and dedication. This is why I have placed my time, energy and efforts into the fitness profession. I love my job and have immensely enjoyed the relationships I have built with my clients in the 13 years I have been at The Fitness Studio. I take seriously the health and wellbeing of everyone I work with. My Bachelors of Science in Exercise Physiology from Liberty University, my 15+ years of personal training experience and ACE personal training certification provides me the insight and ability to meet each client’s unique needs and individual fitness goals. From my personal experience competing in fitness competitions, I know how unbelievable it feels to be healthy, strong, and confident. It is my top priority to have my clients feeling the same way. My specialty doesn’t just include strength training and fat loss, I also specialize in creating the proper lifestyle changes that contribute extensively to achieving any health and fitness goal. I am certified through National Personal Training Institute and have been training clients successfully since 2004. I also have an extensive background in Holistic health. 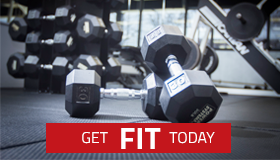 Sign up today to receive private personal training from a number of our experienced trainers. 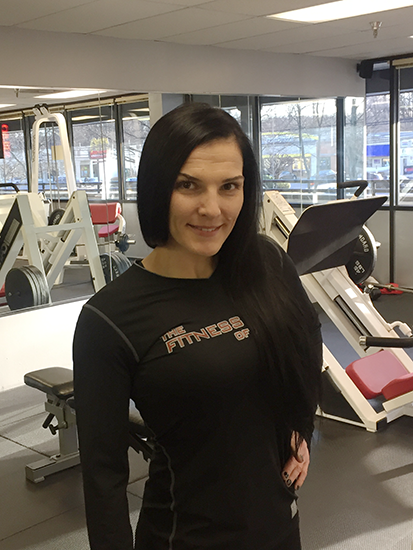 Learn more about our personal fitness trainers here!